When an attack on a Palmerston North fraud detective made headlines in October 1996, the New Zealand public followed the media reports with fascination. They read like a plot of a Hollywood film or detective novel. Poison pen letters, satanic worship, a police hate crime, and a mysterious and violent pyromaniac. But little did the public know that as the truth emerged, the story was going to get far more bizarre, and the police would turn the focus of their investigation on one of their own. We don't have any reviews for Venus and Mars. 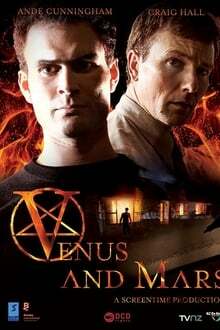 We don't have enough data to suggest any movies based on Venus and Mars. You can help by rating movies you've seen.